When we moved into our new home in February, we knew we’d have a huge amount of DIY Goals, however the flooring was never one of them, until recently. At first, I was overjoyed that our new house came with decent quality, neutral coloured carpets throughout. 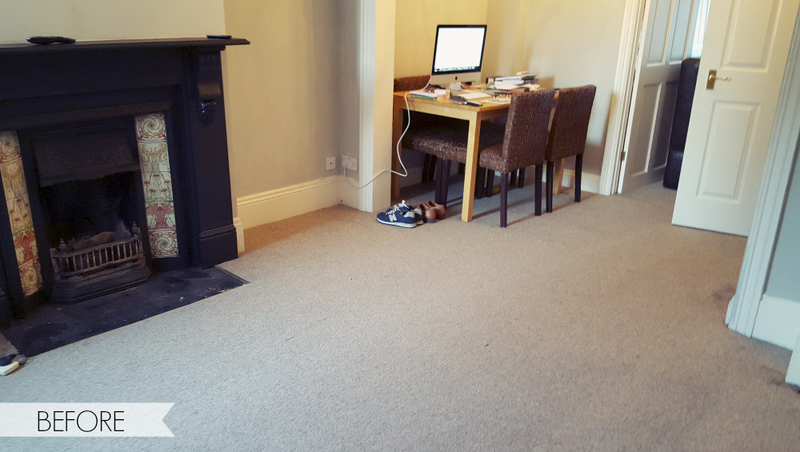 I’ve always preferred carpet to wood/tile flooring, simply for the fact it’s more softer and warmer underfoot so I was happy no work needed to be done – how wrong I was! Things soon changed as I found out having carpets when you own a dog is no fun at all! 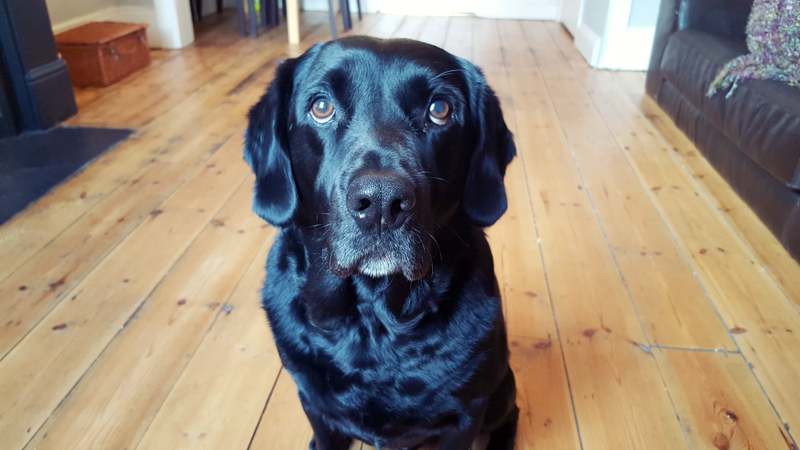 I’d spend a huge amount of time at the weekends deep cleaning the carpets and trying to rid them of pet hairs (which are black – the worse colour for trying to hide!) let alone trying to keep it fresh smelling and airy. The final straw for the carpet came recently when a friend of ours who owns a naughty little beagle came to stay. Colin the Beagle is grumpy little mutt but he’s usually pretty good, so having Robbie to play with and mind the house, we left them for an hour thinking they’d keep each other company. In that time Colin thought he would try and dig under our front door, completely destroying the carpet, leaving it bunched up with chunks of underlay everywhere and covered in huge rips. It was a sign, the carpet had to go. 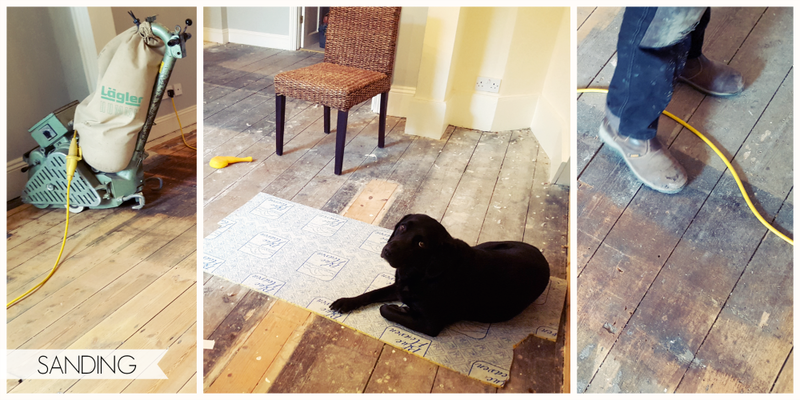 So, last week myself and Vee (girl power) moved all of our furniture out of the living room and took the carpet and underlay up, leaving underneath our original floorboards that were old and dusty and have been untouched for around 150 years. For the next stage, we then called the professionals in. As fun as the sanding machine looked, I didn’t want to be responsible for getting it wrong (although luckily for us we have added DIY accidents to our insurance, just in case – ha!) so decided to have our floorboards sanded and varnished professionally by two local flooring men, or ‘Mr Sandman’ as we called them. It was a noisy and dusty process (Robbie hated it and was so scared!) but it was so interesting to see our ancient floorboards being uncovered. In the 1900’s a famous poet lived in our house and I imaged him sitting in our living room, walking these very boards. This house and these floorboards must hold so much history! The ‘sandmen’ then applied two coats of varnish to give the natural floorboards protection and a touch of shine and the job was done! Here is our living room now! What do you think? 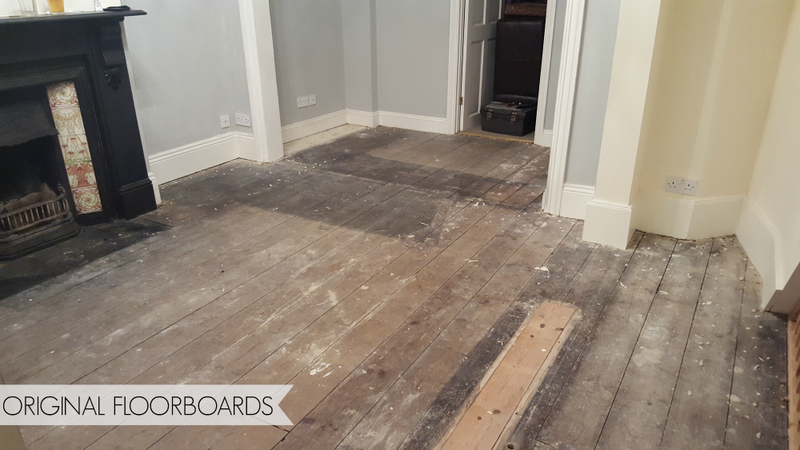 Given that our floorboards were so old, they are not perfect, there are some darker patches and imperfections, however we like them that way and didn’t want them to be perfect. We call it rustic! Most importantly, the puppy loves his new room. 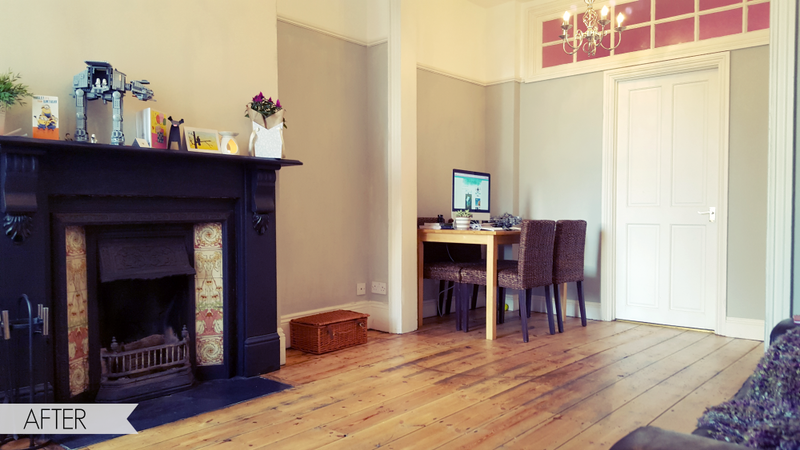 It’s no way finished yet as we still have so many things to get, like a comfy new sofa and a huge rug, but overall I really love the new floor and the best thing…. its SO easy to clean. 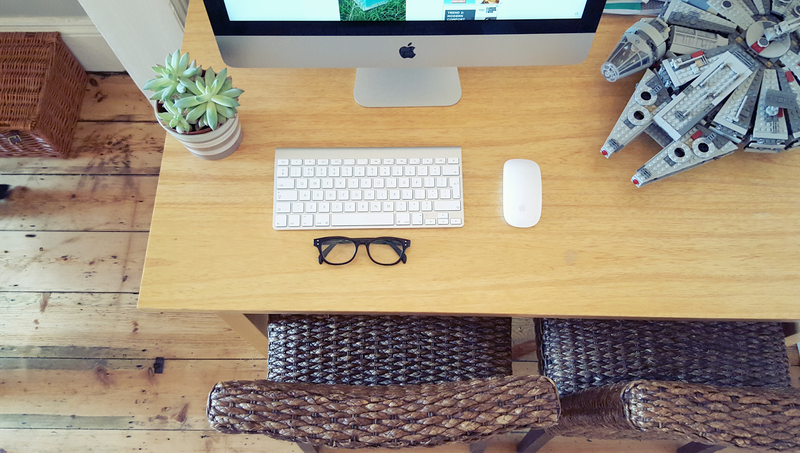 Me – 1, Pet Hairs – 0. I’m happy. Have you done any recent renovations on your house?